As of today, we’re one month away from Pokémon: Detective Pikachu hitting theaters. Unless you live in Japan, where the film will be premiered a week ahead of its near worldwide release. To mark this countdown, Ryan Reynolds’ social media channels posted a “Casting Sneak Peak” video where various Pokémon CGI renders were shown off “auditioning” for the film. In addition to that, ticket pre-sales for the film have begun, with some theaters having showtimes begin on May 9th. 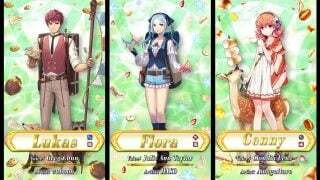 And for some added nostalgia, a TCG promo card is being given out with every ticket purchase while supplies last. 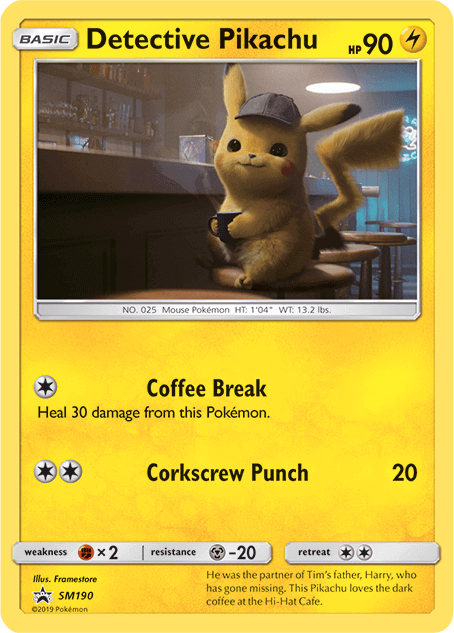 This card, of course, stars Detective Pikachu partaking in one of his favorite pastimes — consuming copious amounts of coffee at Hi-Hat Café. Now with one more TCG card to be unveiled for the entire Pokémon: Detective Pikachu expansion, which Pokémon will be featured? Hopefully we won’t have to wait too long, as things are ramping up for the film’s release. I am a huge fan of Pokemon have been since I was 8, I am 31 now and can’t wait for this movie to come out I was there for the first showing of the Pokemon Mewtwo movie and received my ancient Mew card as well as all the Pokemon 2000 promos. I am so excited to see this showing wish there was a showing on the 9th in my area I would definitely be there. Anyhow I am a Google local guide and can’t wait to rate the location and this movie when it comes to theater thanks so much to all the Pokengineers who put so much time and effort into this franchise you are all amazing I can’t wait for what comes next!